“Our children & grandchildren should grow up in a world where they can breathe the air & drink the water – and go outside without risking their lives in extreme temperatures,” the Democrat tweeted Thursday using the hashtag #PolarVortex2019. The “polar vortex” event refers to an atmospheric phenomenon that’s brought extreme, record-breaking cold to millions of Americans, with temperatures 10 to 20 degrees Fahrenheit below zero and wind chill down in the negative 50s and 60s. It’s the coldest weather many states have seen in decades, meteorologists say. For example, Chicago hit negative 23 degrees Fahrenheit, which is the coldest since 1985. Mount Carroll, Illinois, recorded negative 38 degrees, which, if certified, would be the coldest temperature recorded in the state. The implication is that global warming is behind the record cold that’s forced factories to shut down, schools to close and taxed natural gas supplies across the country. Some climate scientists promote this theory, but many more disagree and see little to no data to back it up. “The bottom line is that folks claiming that cold waves are increasing in the U.S. are ignoring observations and the peer-reviewed literature that state the opposite,” University of Washington climate scientist Cliff Mass told The Daily Caller News Foundation on Tuesday. 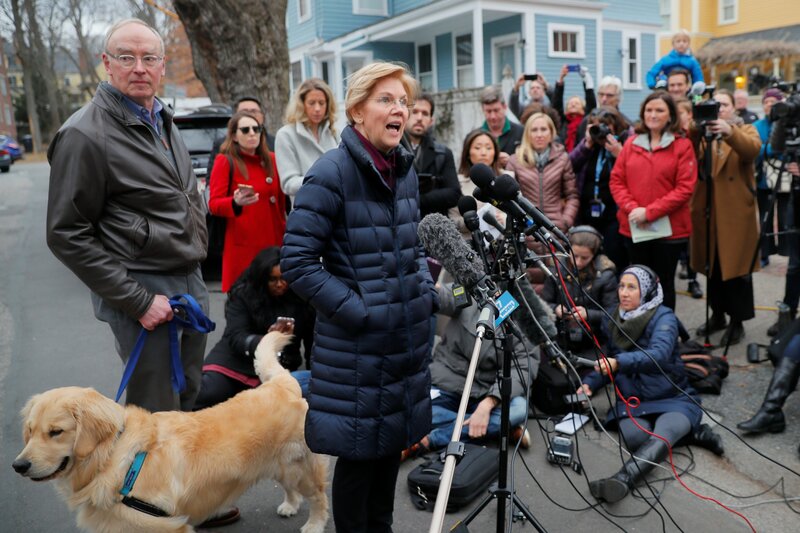 This is the first time Warren endorsed a “Green New Deal.” The 2020 hopeful’s staff previously said she endorsed the “idea” of a “Green New Deal.” Other 2020 Democratic hopefuls, including Sens. Kamala Harris of California and Cory Booker of New Jersey endorsed the proposal. New York Democratic Rep. Alexandria Ocasio-Cortez is the main proponent of a “Green New Deal” and is set to unveil legislative text as soon as next week. While the details are sparse, a “Green New Deal” calls for the U.S. to abandon fossil fuels within 10 years, federal job guarantees and universal health care. That may be a hard sell as millions of Americans rely on coal and natural gas to keep the lights on while renewable energy sources, like wind and solar, provide only a fraction of energy demand amid the record cold. Coal and natural gas provided about 75 percent of the Midwest’s electricity during the ongoing cold snap as of Thursday afternoon, according to the Midcontinent Independent System Operator, which oversees the region’s grid. PJM Interconnection data for the Mid-Atlantic show coal and natural gas provided 68 percent of the electricity as temperatures plunged Thursday. Nuclear power also carried a major load, generating 26 percent of the region’s power.